Time After Us, a set on Flickr. 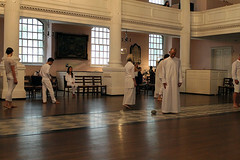 Images from “Time After Us,” a durational group performance by Ernesto Pujol (AP Faculty) at St. Paul’s Chapel in Manhattan. Performers included Art Practice participants and alumni.